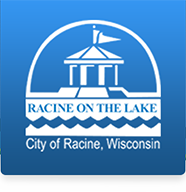 The City of Racine Public Health Department - Laboratory Division has highly qualified personnel committed to maintaining the integrity of our water resources, coastal recreational areas, and natural spaces. We do this using innovative methods and industry best practices in the fields of water resource management, environmental planning, habitat restoration, and laboratory technology. Acting as a research entity, we frequently engage in cooperative opportunities with Local (Root-Pike Watershed Initiative Network), State (WI Department of Natural Resources), and National (US Geological Survey, US Environmental Protection Agency) partners as well as providing consulting services. Our depth of expertise allows us to provide comprehensive services in the areas of environmental monitoring (including pollution source investigation/identification), site assessments/restoration, public access/education, and sustainable best management practices. The beach status is updated Monday through Friday from approximately Memorial Day through Labor Day for North Beach and Zoo Beach. Beach status explanations are also available. Projects undertaken within the City of Racine Public Health Department Laboratory provide professional development and networking opportunities. Below are examples of local, regional, and national conference presentations and posters developed by student interns and Laboratory personnel. Below is a link to current internship and/or employment opportunities within the Laboratory.